Colour de Verre at Sunshine Glassworks Ltd.
Colour de Verre produces reusable glass-casting molds for artists and hobbyists. 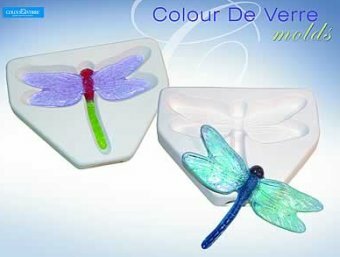 Merging the age-old art of glass casting with modern technology and contemporary design, Colour de Verre molds can be filled with glass powders, pate de verre, glass frits, or cut sheet glass. 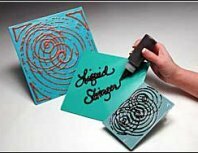 Packaged with instructions, they are easy to use and produce beautiful results. These are PDF files that can be viewed by clicking on links above or you can save them to your computer by right clicking and choosing "save as" from the menu. All CDV molds come with a short instruction sheet that covers the basics of priming, filling and firing the project. Two different instruction sheets are provided, one for smaller molds and one for larger molds. These instruction sheets also include firing instructions so you can program your kiln quickly and easily, getting wonderful results the first time. Each mold has a fill weight specified which will allow you to anticipate your frit or powder needs. Fill weights are given in grams. To convert to ounces, 28 grams will come out to 1 ounce. There are 454 grams in a pound. 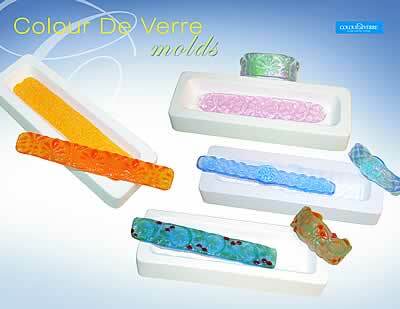 Our selection of molds for Colour De Verre have been divided into FOUR sections. MORE MOLDS ARE COMING. The fine folks at Colour De Verre are making MORE styles available and we will put these styles on the web as soon as they arrive. Colour de Verre and Sunshine recommend the use of Hotline Primo Primer as the mold release for all CDV molds. 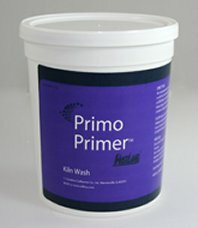 Primo Primer is a not the same as your average shelf primer. To start out, it has a thinner consistency and is a bright orange. The runny consistency allows Primo Primer to coat the fine details of the CDV molds without obscuring them. It will also withstand the hotter kiln conditions used in pate de verre work. 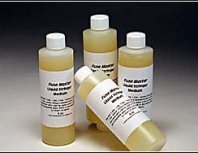 Liquid Stringer Medium is a specially designed vehicle that can be mixed with any brand or form of crushed glass, frits, powders or enamels to make a formable pate-de-verre or paste of glass. At room temperature, this glass paste can be molded or formed in a variety of ways. It can be sculpted into 3-dimensional forms, squeezed from a cake decorator, painted into a pate-de-verre mold, or formed into decorative pattern bars. When fired in a kiln, the glass particles bond together forming a solid.